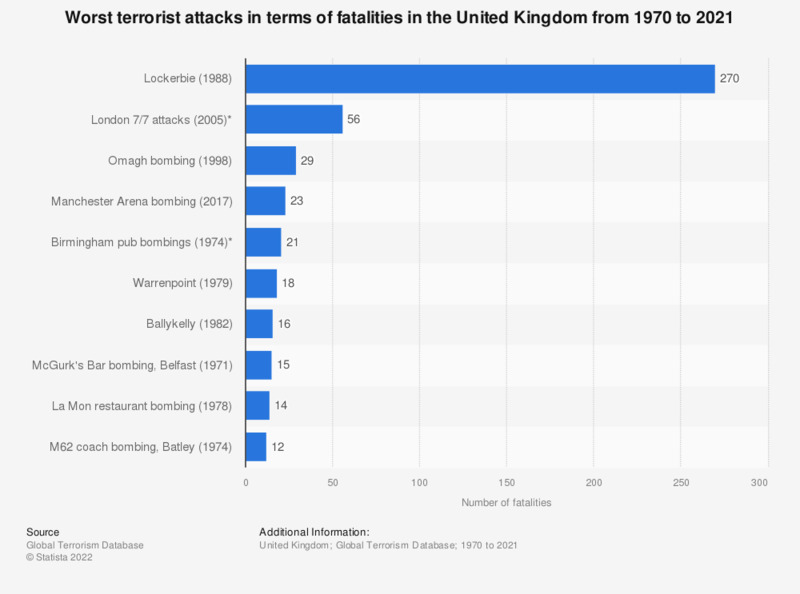 This statistic shows the worst terrorist attacks in terms of fatalities in the United Kingdom from 1970 to 2017. The downing of Pan Am Flight 103 in December 1988 above Lockerbie was the attack which had the highest number of fatalities with 270 in total. Of the ten attacks in this statistic, six were related to the troubles in Northern Ireland while three were linked to Islamic extremism, including the Manchester Arena bombing and London Bridge attacks of 2017.